Car Mopping Birmingham. Machine Polishing and Detailing for the West Midlands, Solihull and Birmingham region. Detailing is the name given to the treatment, protection and correction of your car’s bodywork and interior. It is a higher level of service than valeting and is most commonly used with reference to machine polishing (mopping), which can remove defects such as swirl marks, marring, minor scratches and dull, lifeless paintwork. The range of detailing services varies greatly, depending on the type of correction needed and/or the level of protection one wishes to apply to the bodywork. 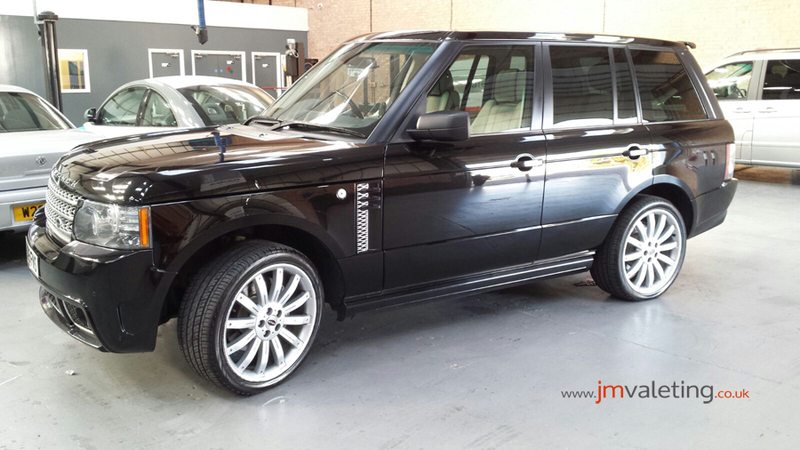 Therefore, at JM Valeting we have a variety of options to suit all budgets, from a simple spruce up of the bodywork, to paint correction and new car protection. 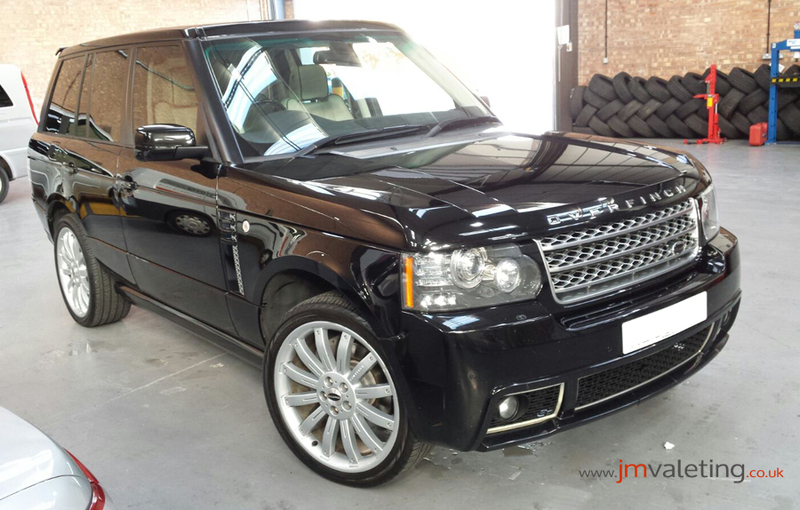 The following example is of an Overfinch Range Rover which came to JM Valeting with heavily degraded bodywork, full of swirls and light scratches. Following our Make-Over Detail/Protection Detail service the car was given a new lease of life and returned, albeit to only a modest degree, to a deeper, glossy state. But nevertheless, even with much work still to be done, the results were still impressive and much longer lasting than a standard hand polish and wax. For more details on our range of services you can contact us or visit us at our detailing centre in Shirley, Solihull.